AGBO (Alfred G. B. Owen), owner of Rubery Owen Darlaston and mentor, sponsor to the F1 BRM team in the late 1950`s & early 60`s. 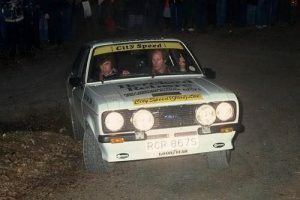 The AGBO Rally changed to a stage rally in the early 1988 and was originally run at Wilbarston Airfield for three years. It moved to Weston Park in 1996 and has remained there since. It is now again one of the clubs premier events. 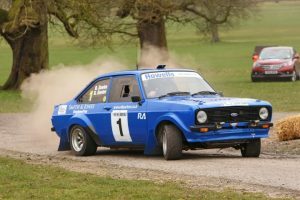 Run in late March at Weston Park, on the Shropshire / Staffordshire border, this popular single venue stage rally is a round of the AWMMC Heart of England and HRCR “Old Stager” & HRCR Minisport “Mini Cup” Rally Championships. The event is always very popular with competitors, the entry filling within days of publication of the regulations. 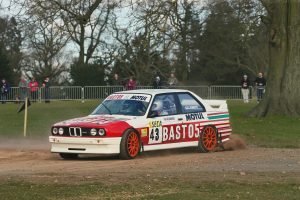 Many competitors often use the event as a shakedown for their cars for the upcoming season. The event attracts many top Welsh teams as well as AWMMC clubmen from all around the Midlands region. The AGBO Rally has received some rave reviews for several years from it’s competitors, it’s Marshals and it’s spectators. This is down to the fact that a dedicated and experienced team has been assembled over the period to organise and run this prestigious event.